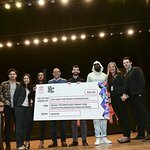 Wyclef Jean, co-founder of the Yéle Haiti Foundation, will be at the Penn Station Kmart on Tuesday, May 18, 11:00 a.m.–1:00 p.m., to help bring much needed joy to three young Haitian amputees on their trip to the States to get urgently needed artificial limbs. Kmart has graciously donated shopping sprees for the three girls and their hosts, valued at $3,000. Kmart has given the girls no restrictions on what they can purchase—toys, clothing, electronics or beauty products, it’s up to them! Prior to the shopping spree the girls will also be treated to makeovers. 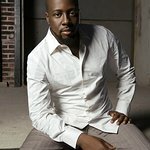 Wyclef will also be announcing a special scholarship fund for the girls. 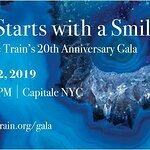 Yéle Haiti worked with the Global Medical Relief Fund (GMRF) to provide eight round-trip tickets from their partner Delta Airlines — which included tickets for GMRF staff and the patients’ relatives — between Port-au-Prince and the GMRF’s headquarters in Staten Island, N.Y. The group will then travel to Philadelphia later this week, where the three patients will be treated at Shriners Hospitals for Children, which will be providing the care for free. Margarette Pierre, 17, lost her arm to above her elbow in the Jan. 12 earthquake; Chantal Mori, also 17, lost her arm; and Farah Maurice, 8, lost her leg above her knee. The World Health Organization estimates that between 4,000 and 6,000 Haitians will end up losing limbs; surgeons in-country are struggling to keep up with the enormous numbers of wounded. Because of the risk of fatal infections, amputation is crucial in saving lives. Prosthetic devices must be fitted as soon as possible after healing, then readjusted in the following weeks.